THE BRAND: By 1970, sixteen years into his show biz career, Elvis Presley had evolved into Elvis. The bejeweled, cape-wearing, “See See Rider” singing, Vegas-playing Elvis. Elvis was a brand that everybody recognized and many respected. When Elvis showed up at the door — even the door of the White House — the door was open. THE ANGLE: Even if you’re well known, and even if you say “please,” you need a selling proposition, a unique brand attribute. Elvis had one: Elvis could relate to everyone. 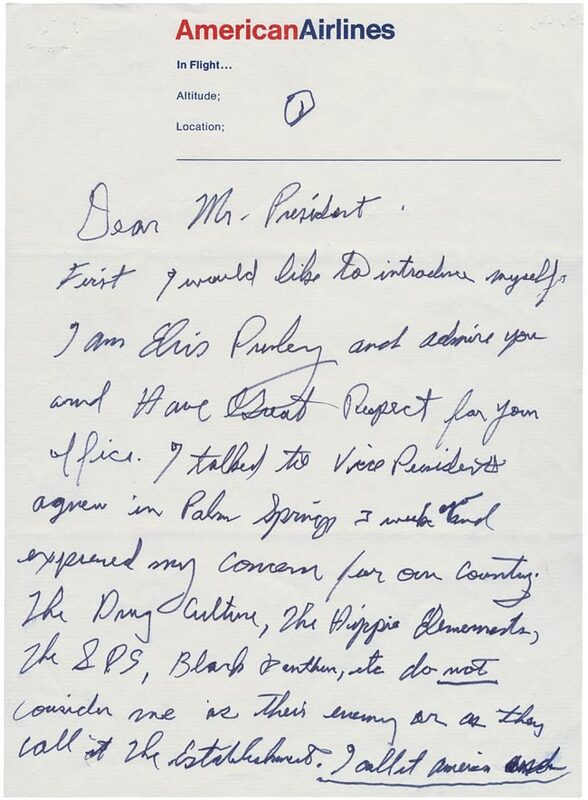 In his letter to President Nixon, Elvis wrote: The drug culture, the hippie elements …do not consider me as their enemy… I will help out by doing it my way through my communications with people of all ages. THE ASK: Elvis didn’t beat around the bush. He asked specifically for what he wanted. When you don’t ask, you don’t get. 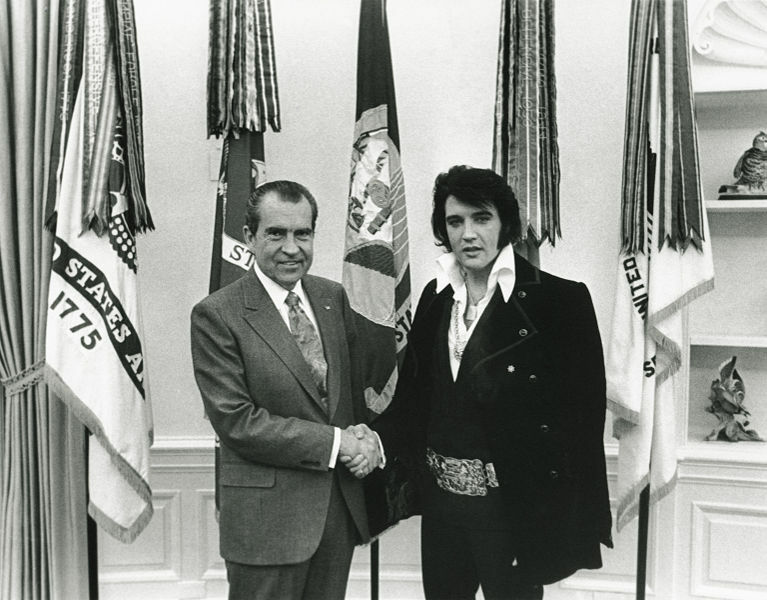 THE LIMITED TIME OFFER: When Elvis showed up at the White House gates four days before Christmas, the Nixon staff knew they had to move quickly. Elvis was a limited time offer. Better act now. 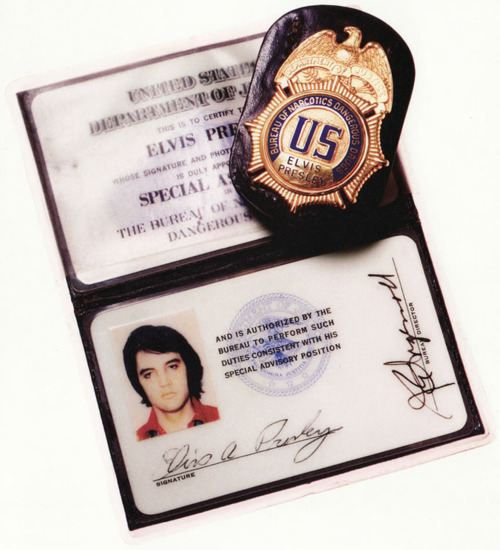 THE CLOSE: Elvis wasn’t going to leave the White House without a new badge. He knew better than to take “We’ll get back to you” for an answer. Elvis was persistent. A brand built over time, a unique and well-timed offer and a clear call to action set the stage, and a well-prepared, confident salesman brought home the badge. Elvis has left the White House.